It is commonly accepted that the golden rule—most often formulated as "do unto others as you would have them do unto you"—is a unifying element between many diverse religious traditions, both Eastern and Western. Its influence also extends beyond such traditions, since many non-religious individuals hold up the golden rule as central to their lives. Yet, while it is extraordinarily important and widespread, the golden rule is often dismissed by scholars as a vague proverb that quickly leads to absurdities when one attempts to formulate it in clear terms. In this book, Harry J. Gensler defends the golden rule and addresses all of the major philosophic objections, pointing out several common misunderstanding and misapplications. Gensler first discusses golden-rule reasoning and how to avoid the main pitfalls. He then relates the golden rule to world religions and history, and to areas like moral education, egoism, evolution, society, racism, business, and medicine. The book ends with a discussion of theoretical issues (like whether all morality reduces to the golden rule, which the author argues against). 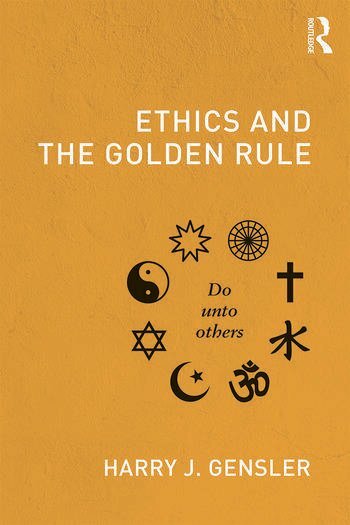 Ethics and the Golden Rule offers two introductory chapters, the first is simpler and the second more technical; a reader may start with either or both. One can then read any combination of further chapters, in any order, depending on one’s interests; but Chapters 13 and 14 are technical and assume one has read Chapter 2. This is "a golden-rule book for everyone," accessible to a wide readership.